Schaublin have been manufacturing machine tools since 1915 and has one of the finest reputations for quality and precision. Located at the heart of the “Jura Arc”, their origins are firmly based in the surrounding watchmaking industry. Charles Schäublin’s first premises were at Malleray a few kilometers west of Bévilard where Schaublin Machines SA is presently located. In 1916 Charles formed a partnership with his brother-in-law Emile Villeneuve. While Charles focused on the engineering Emile handled the financial and commercial side of the business. 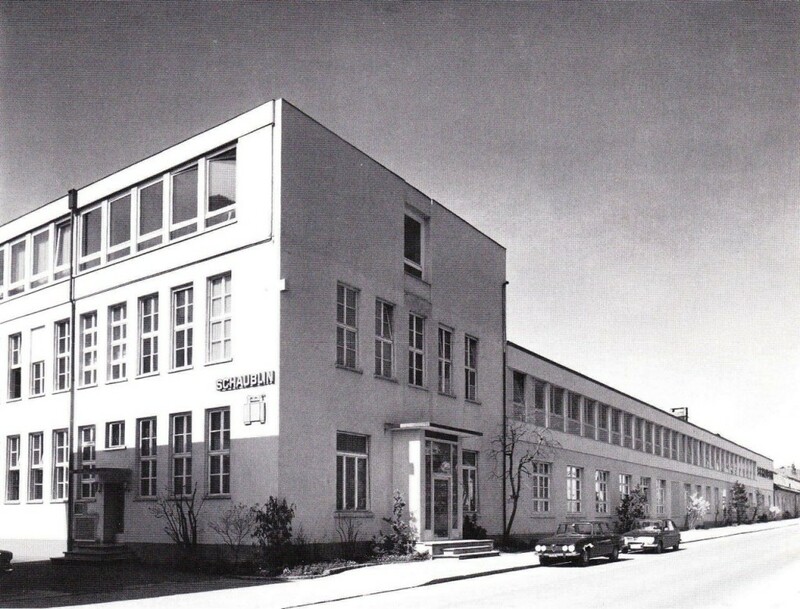 Early production was exclusively directed at the burgeoning watch sector and Schaublin’s output included specialist automatic production and finishing machines as well as small precision lathes. Design for the bed and fixing system of the 65 and 70 lathe was patented just four years after the founding of the company, the design is still in use today. Before 1946 the business was known as Ch. Schäublin-Villeneuve, with a registered trademark of an S intertwined with a V. Hence machines were referred to as SV70 or SV12 etc. The signature SV trademark is still used by Schaublin SA on their collets and other products. From 1946 the company was registered as “Fabrique de machines Schaublin SA”, by this time two further factories were in operation at Delémont (1924) and Bévilard (1929). Post-war production boomed with thousands of 70 and 102 lathes (especially production TL and TR models) being exported all over the world. 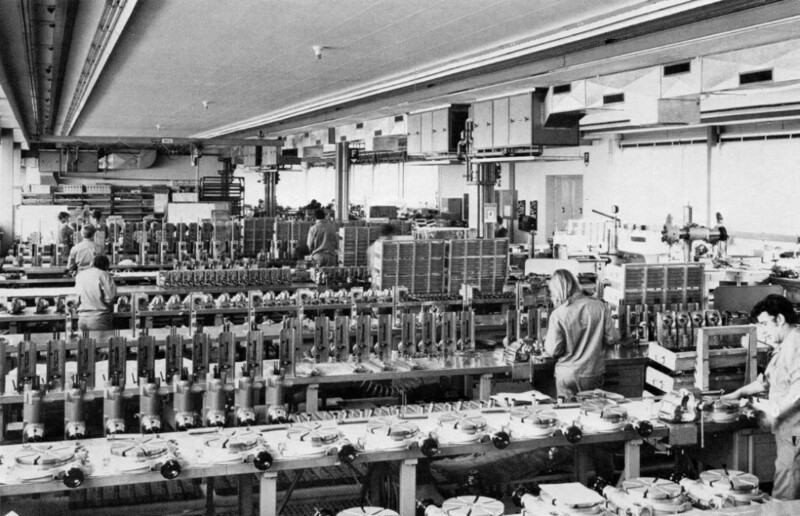 To date over 100,000 Schaublin 70 and 102 machines have been produced. Until 2000 Schaublin had been a family owned firm consisting of a number of divisions including machine tools and collets. The firm has now been divided into Schaublin SA (Delémont) work holding manufacturers (owned by the American bearing manufacturer RBC) and Schaublin Machines SA. The manual and CNC lathe business, now known as Schaublin Machines SA is owned by consortium of companies and individuals some of whom are Swiss firms who were formally Schaublin agents. In 2013 Schaublin Machines SA built an all new factory on a site near to the old premises in Bévilard. Like most machine tool manufacturers, Schaublin now concentrate on CNC machines. The 70, 102N and 102N-VM lathes are the only manual machines still produced. However, with prices of just under 20,000 Swiss Francs for a basic bench 70, the entry level 102N being well over that figure, and the 102N-VM starting at over 55,000 Swiss Francs, the future of the manual Schaublin lathe appears uncertain.